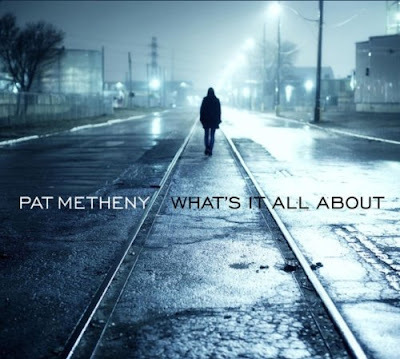 If all you knew about Pat Metheny’s music hinged on the perfunctory details of its genre (jazz, for the most part) and the artist’s instrument of choice (guitar, for the most part), listening to his latest offering, What’s It All About (Nonesuch Records), provides fundamental context to his craftsmanship if not a sweeping representation of his craft. Known primarily for his proficiency and experiments on the electric guitar, Metheny scales down to an acoustic, solo setting on this album, its title coming from the Burt Bacharach/Hal David classic, “Alfie,” just one of ten pop standards he interprets on this all-covers project. 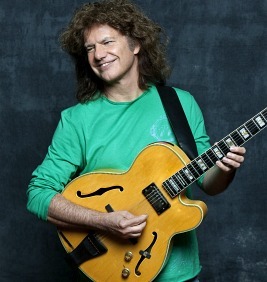 The music in general assumes a rather somber, evocative dimension, which Metheny complements with intricate, often Flamenco-styled picking. Such subtlety allows him to take generous liberties along the way, magnifying familiar moments of songs (the opening notes of The Stylistics’ “Betcha by Golly, Wow,” the vocal progression in Carly Simon’s “That’s The Way I’ve Always Heard It Should Be”) rather than indulging more-literal translations. Other standouts include a lovely rendering of The Beatles’ “And I Love Her” and The Carpenters’ “Rainy Days and Mondays,” which Metheny draws out into a melancholy, near-desolate meditation. And so if all you knew about Pat Metheny was just the basics, listening to him play on What’s It All About affords more than enough incentive to explore his catalog further. For those already familiar with his work, though, this should come as no surprise.